Maria Shriver - who was married to the ‘Terminator’ actor for 25 years and has four children, Katherine, 21, Christina, 19, Patrick, 17, and Christopher, 13, with him – moved out of the family’s Los Angeles mansion earlier this year after Arnold admitted paternity of the child, whose mother worked with the family for 20 years before retiring in January. 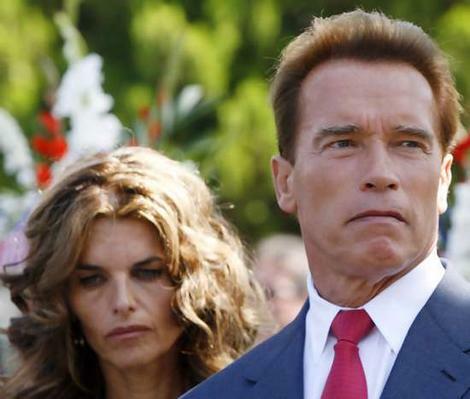 Arnold – the former Governor of California – said in a statement released to the Los Angeles Times newspaper: "After leaving the governor's office I told my wife about this event, which occurred over a decade ago. I understand and deserve the feelings of anger and disappointment among my friends and family. There are no excuses and I take full responsibility for the hurt I have caused. I have apologized to Maria, my children and my family. I am truly sorry. Following the news of the couple’s shock split earlier this month, Arnold, 63, revealed he was taking the break-up "one day at a time". He said: "We both love each other very much. And we're taking it one day at a time. The bottom line is we want to thank all the people for their great, great support. "I just spoke to Maria an hour ago before I came here. We both were saying the same thing - we're extremely blessed to be surrounded by so many wonderful people, by so many wonderful friends."